A community gathering of yarn enthusiasts to work on personal projects, share ideas, and enjoy the company of like-minded yarnies. True beginners should consider learning basics of the desired yarncraft outside of this group as this group will not have a formal instructional component. Yarn-fiti meets every third Sunday of the month from 2:00 pm to 4:00 pm. 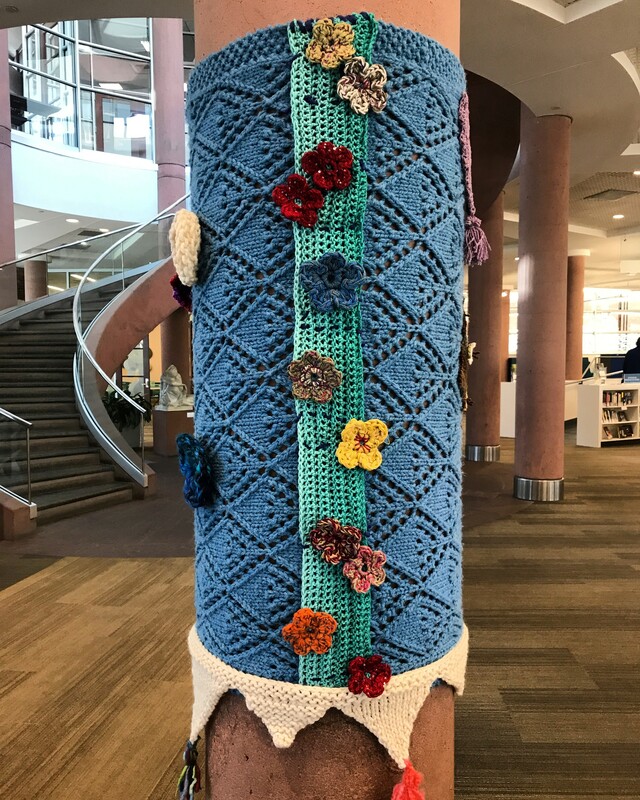 This group emerged from the Yarn-fiti project of 2018 hosted by the Boulder Public Library.